NEVER EVER PAY FOR COURIER FEES....THIS IS ALWAYS A SCAM. Please don't throw your old stuff away! Someone somewhere may still find it useful. If you live in our group area please join up and offer it to our members. A much better option than sending it to landfill. Items must be legal, appropriate for all age-groups, and given away for free. Please: No Lending, swapping or selling. Does anyone have a pair of car ramps they no longer need please? I would be very grateful. Thank you. 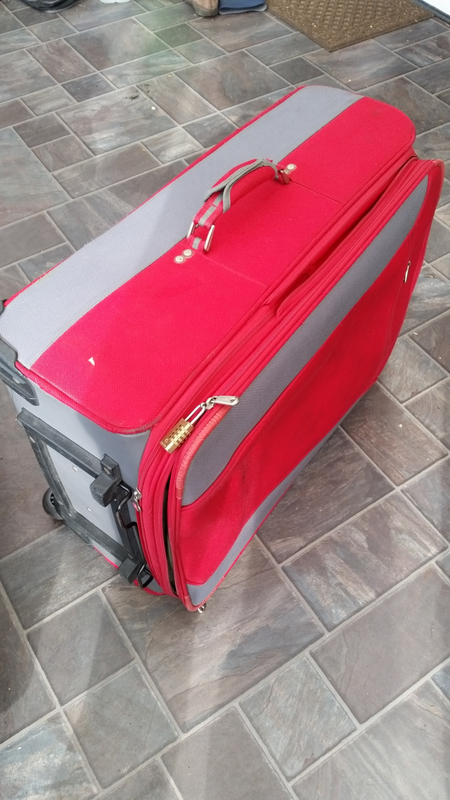 Large red suitcase, served us well, but surplus to requirements! Just moved in, anyone need some free packing/moving boxes or wrapping paper? I have more Bags of wood shavings for collection. Suitable for paths, mulching, chickens etc. Available now. First come first served. Easi-Glide 300 hover mower with grass box. 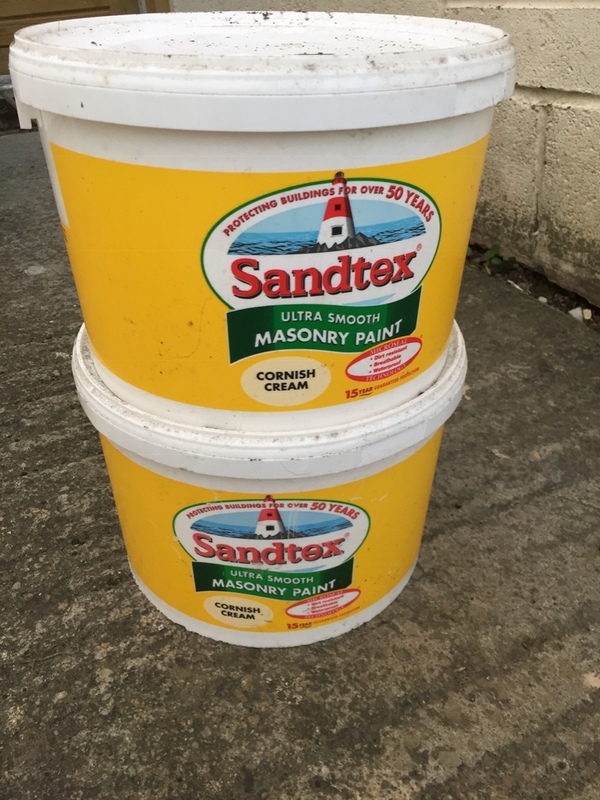 Lightweight - ideal for small/medium-sized lawns. 13000W motor. 30cm cutting blade. Mains cable 10 metres long, In full working order. No longer needed because we have a kind neighbour who cuts our grass, using his own mower. Good condition. Stored in garage so dusty. 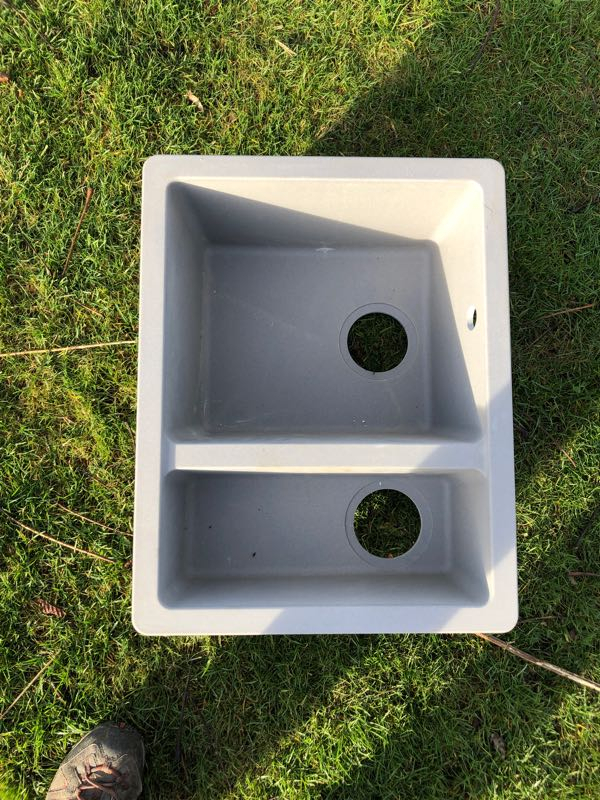 Was used for TV and hifi units. 45cm h X 44 cm w X 71 cm w Strong wood and glass construction. Made by Draper. Sturdy tubular iron frame with folding legs/handrails. Double-sided pad acts as seat or kneeler. Height: 13 1/2 inches. Width: 15 1/2 inches. Can take a person weighing up to max. 19 1/2 stone. Excellent condition. Arthritic knees prevent me from lowering myself on to it! Burgon & Ball kneeler cushion. 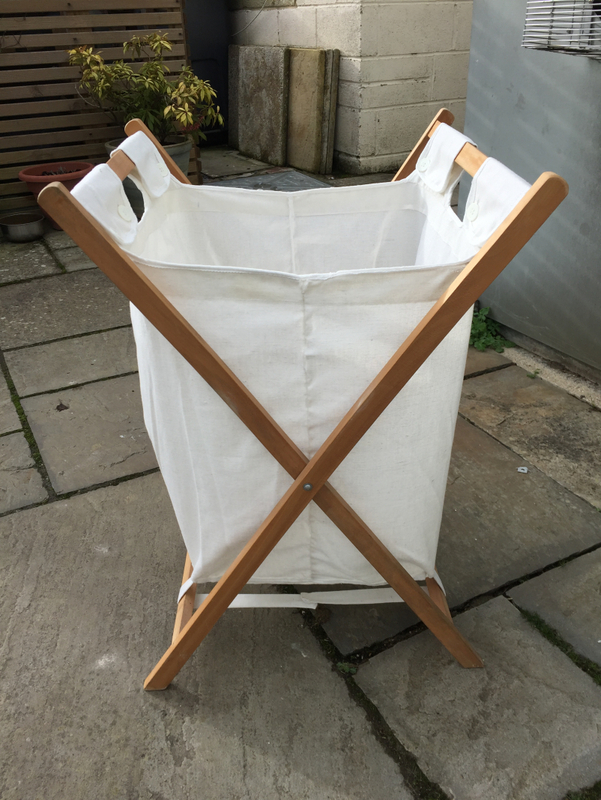 Oval, lIghtweight with carrying handle. Foam and Neoprene. 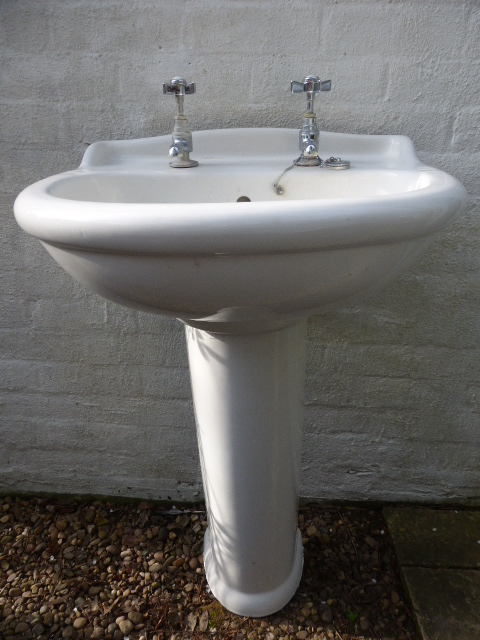 Excellent condition - no longer needed as arthritis stops me from kneeling! 3 dark wood polished tables (not wood-finish, proper wood). Largest 18 1/2" (48.72 cm) by 13" (33.02 cm). Good condition - we just don't have room for them any more. 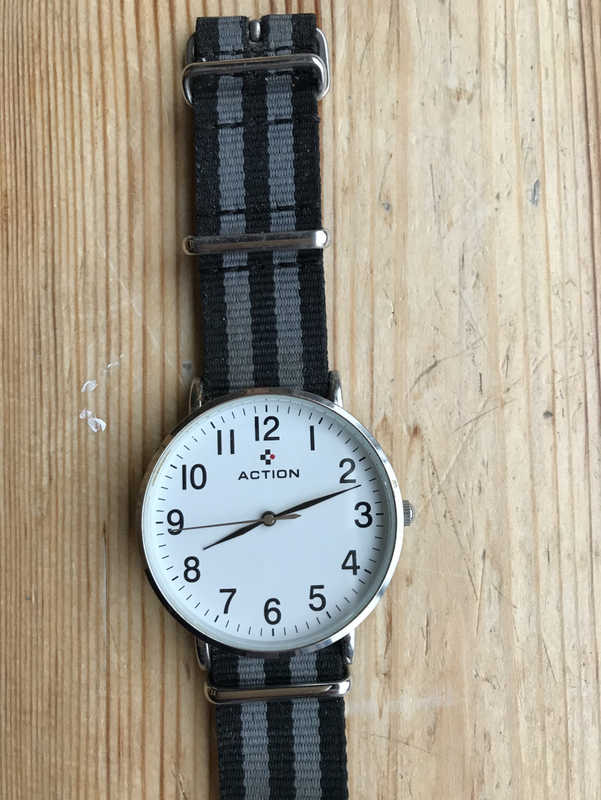 New, unused (bought in anticipation of grand-daughter staying overnight - which never happened!). Grobag musical cot-mobile, suitable from birth. Brightly-coloured soft-padded little elephants, wind-up mechanism. Looking for Harry Potter books or figures for a child age 8yrs. 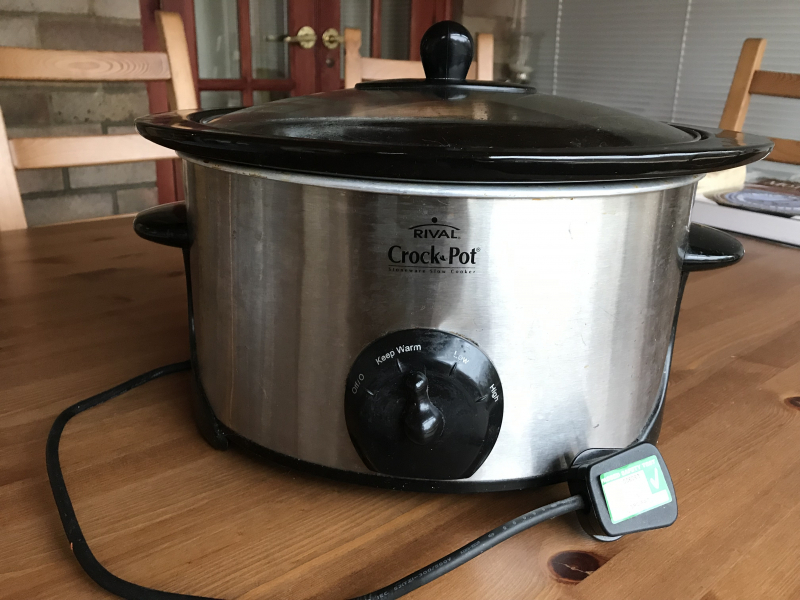 Large Crock Pot slow cooker, well-used but in perfect working order. My kids have left home and I don't need it any more! - Personal refurb / repair projects at home - Please make note of eg Windows 7 Sys Registration key on PC before deleting anything - in case label is worn. - PC’s, Macs, Laptops, Desktops, etc Also Memory needed: - Sets of 2x 2GB DDR2 - Sets of 2x 4GB DDR3 - Also Windows 7 Install software [Home/Pro vns - both 32/64 bit vns of both] - Am between phones - so best to email me via freegle - With thanks, Simon NOTE: SOME FREEGLE CHAT ITEMS GO INTO SPAM EMAIL - PLEASE CHECK SPAM! Bag of old patterned plates etc saved to make mosaic if anyone can use them ? Eighteen 45cm square slabs. Collect from Devizes - can park very close to where they will be! 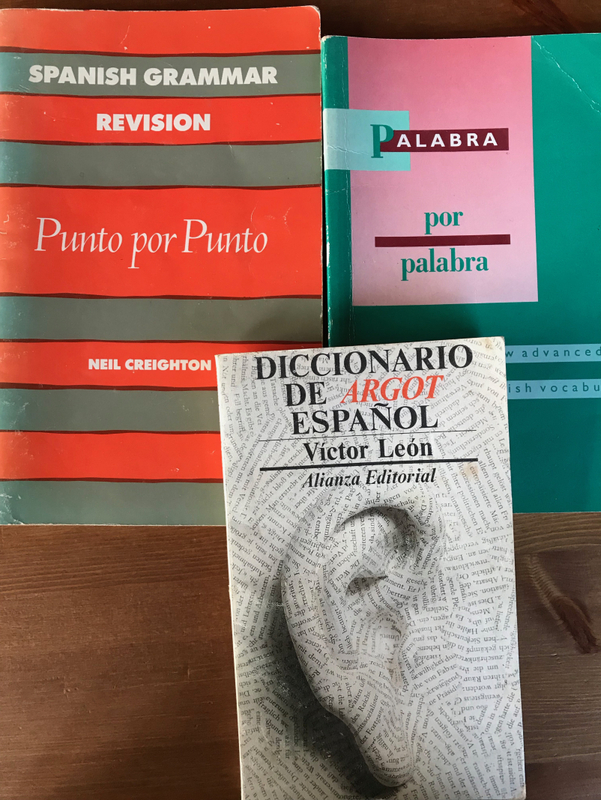 Worn but still good, including a fascinating dictionary of Spanish slang! 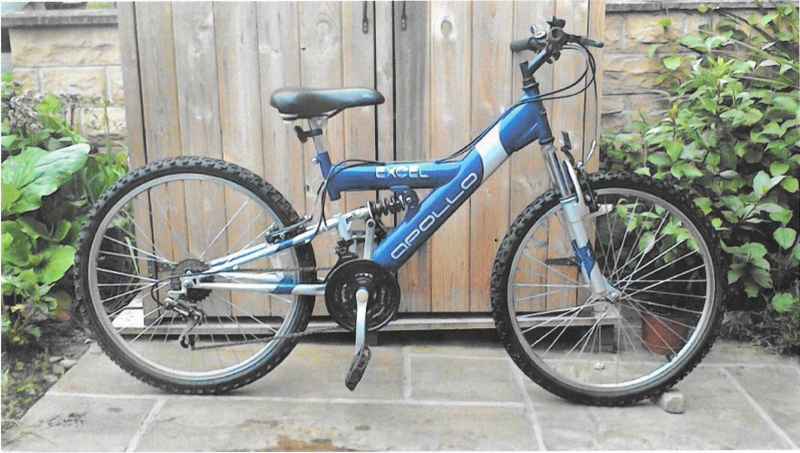 Excel Apollo bike, good condition (has two flat tyres, but only because we don't possess a pump!). Plus brand-new (unworn) Max black cycling helmet and high-vis sash. Hi I am looking for a med to large size fish tank for tropical fish. And anything for tanks i.e ornament filters plants .anything would be appreciated. Gave one of these away on here last year in perfect condition, thought I didn't need it anymore. I was wrong. I've started picking up a friend's child from school, so need another. Needs to be the full seat not just the bumper cushion as child has special needs. Child is 7. If anyone has one of these available and no longer being used, I'd really appreciate giving it a new home. Thank you for reading this. Size: 2m x1m x 90cm high. Used but pretty good condition - can seat 3 people. 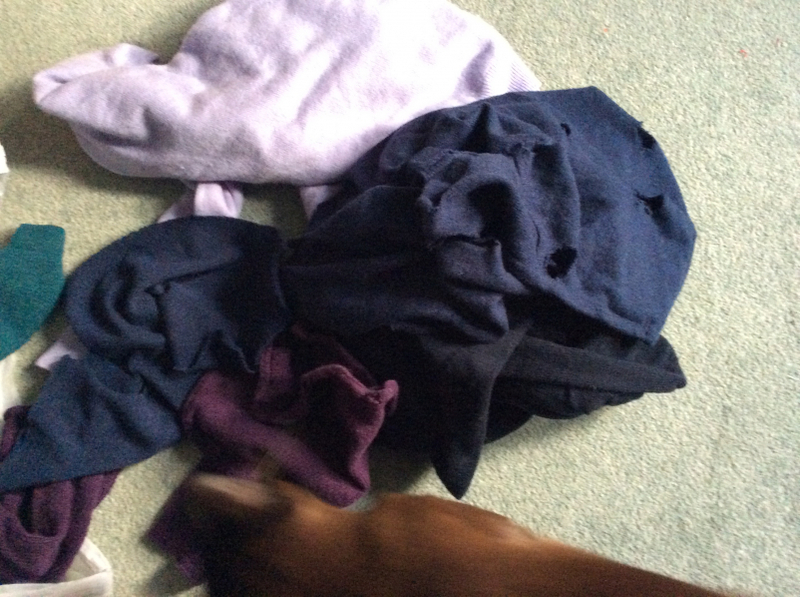 Machine-Washable covers. Very comfortable. May need van + helper. Am between phones so messages via website please. 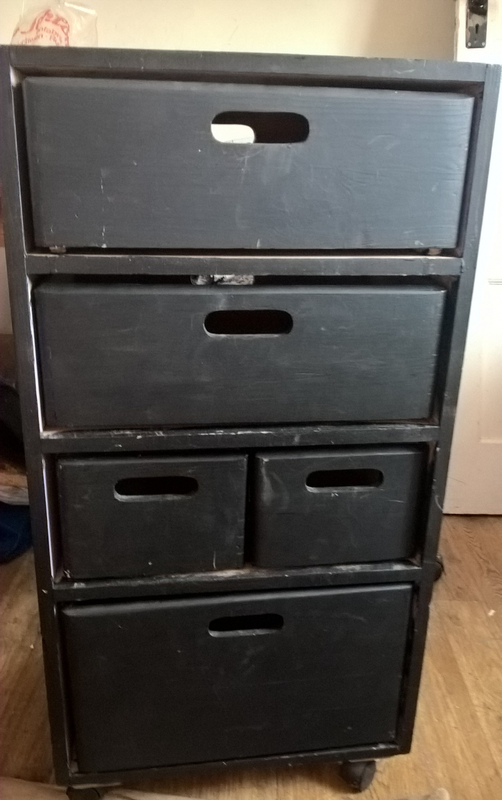 This is a like a stack of wooden box drawers on wheels painted with blackboard paint mostly ! 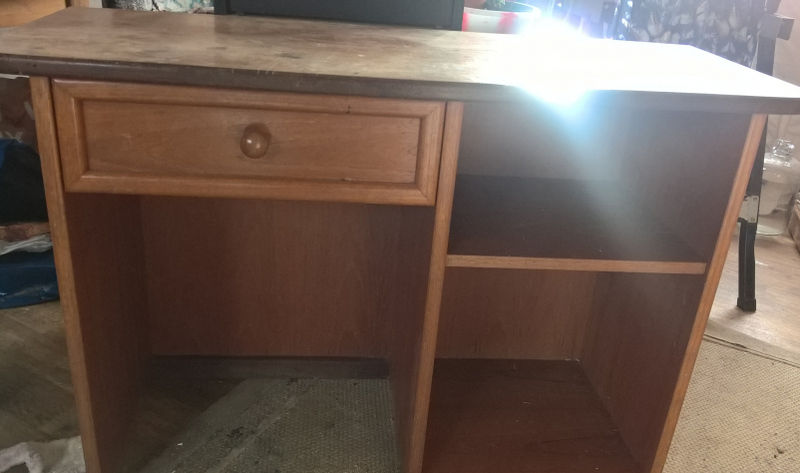 it was used in a kids room so needs some tlc but has lots of life left in it even if its just the wooden boxes that make the drawers ! Just the spring part of a mattress -I was going to use as an arty trellis type thing in garden ! 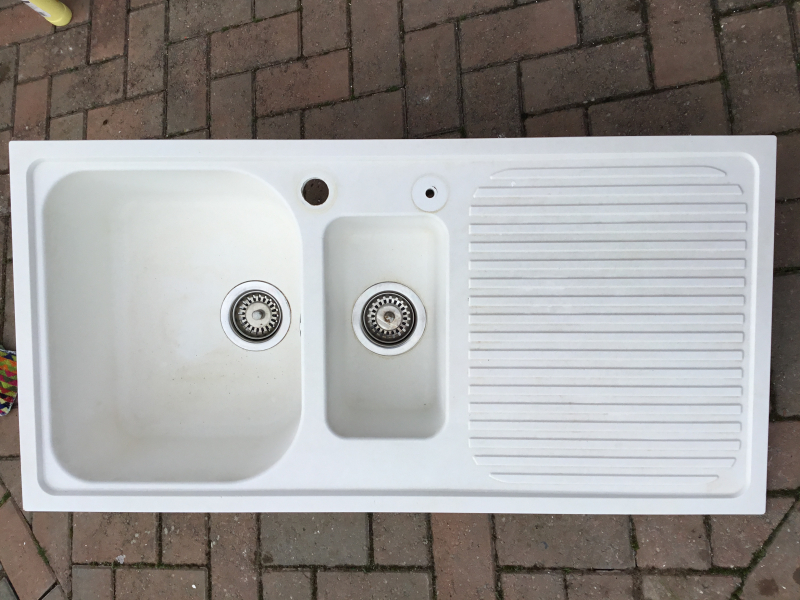 -in good clean non rusty condition if anyone can make use ? Large travel bag, a bit scuffed but still very usable with zips, wheels and handle still working. Diameter 4 cm and large clear numbers. Ideal for anyone with visual impairment. Good working order but needs a new battery and a bit of a clean-up. 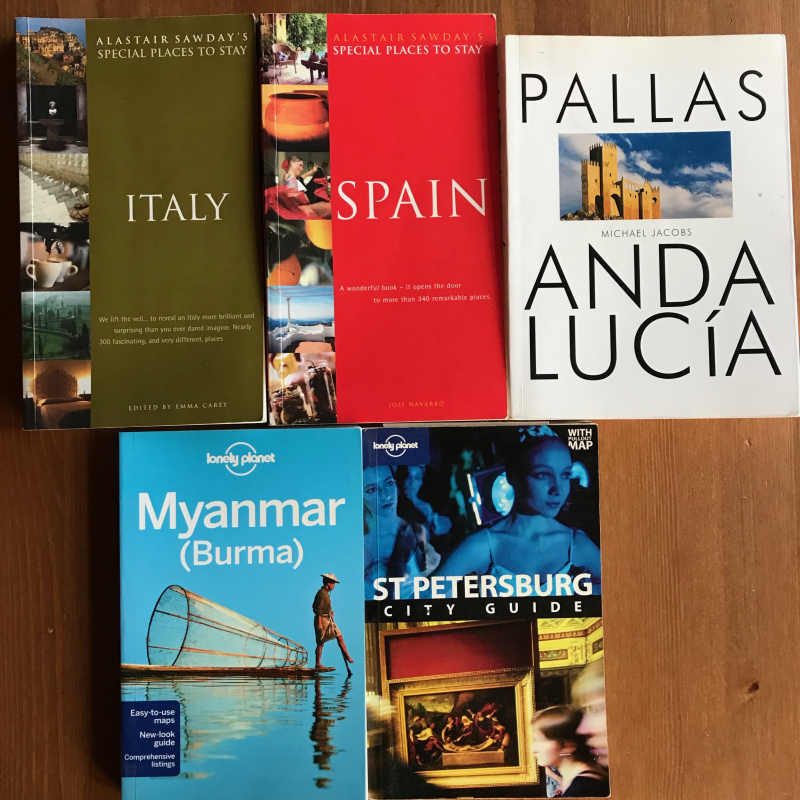 Revision & Workbooks + few CDs (CDs = Science, Spanish) - Science, poetry, Maths, Bio, Physics, Chemistry, Spanish, ICT, Maths - some include higher level - eg Maths - Some past papers - eg Physics. Am between phones so messages via website please. Plastic chest full of bottles and jars my brother dug up in the 70s. Bovril jars, medicine bottle, perfume bottles etc. At a guess they are probably early 20th century. See. 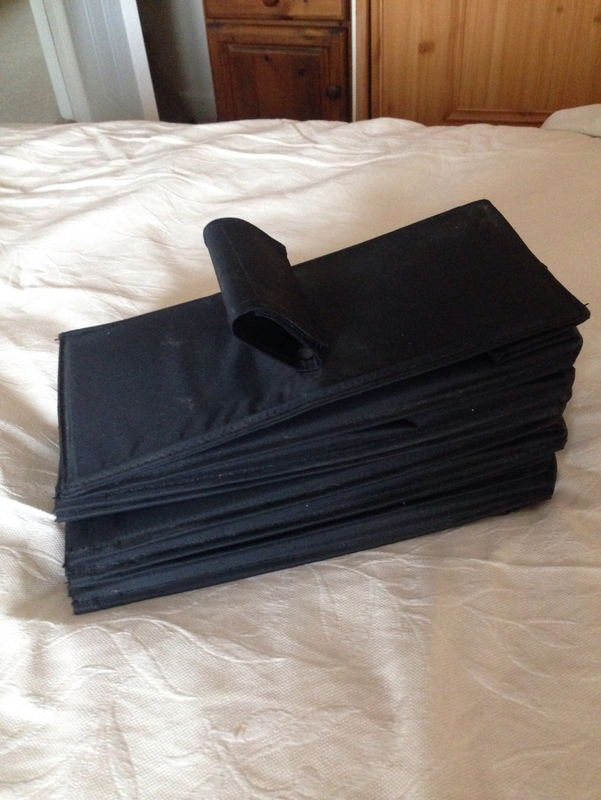 We have 12 pieces of ready cut hardboard 30cm x 20cm which would be ideal for an artist painting with oil paints. 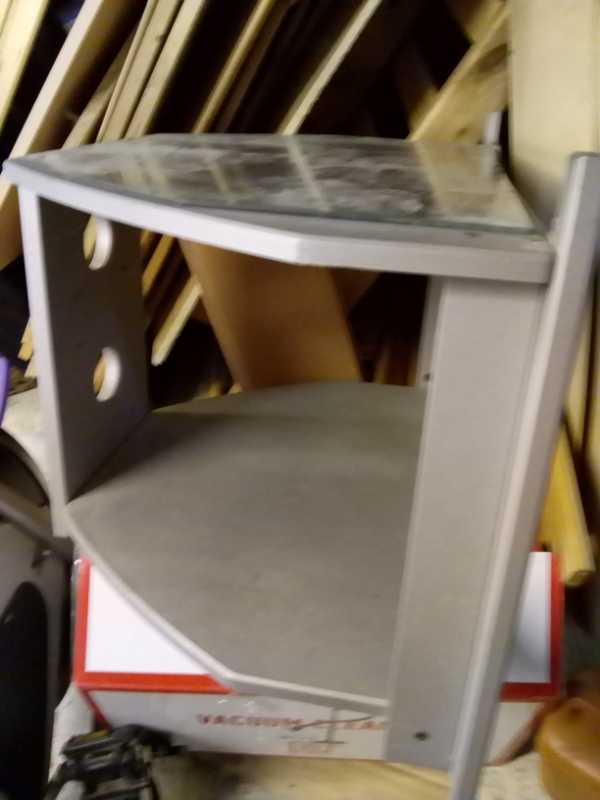 King size divan bed with drawers (new this year and barely used) and mattress good condition (7+yrs old) (148 x 200cm approx) Am between phones so messages via website please. Shoe storage hanger, clips over wardrobe rail and holds up to 10 pairs of shoes. Trousers rack that will fix on wardrobe rail holds 6 pairs. 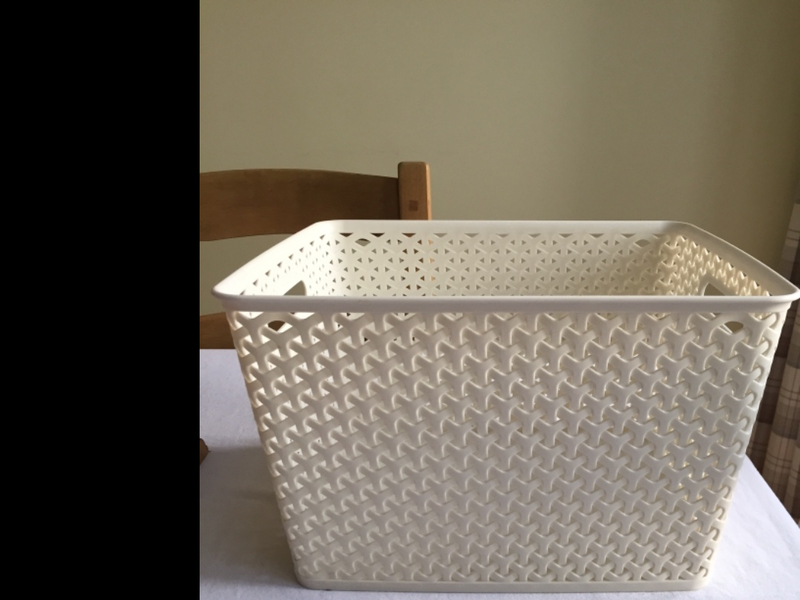 Great items for space saving. I'm looking for a dial or button phone, older type with cable which works; these hands-free keep dying on me! I don't mind if it's Bakelite, a trim phone or a Hot-lips phone as long as I can talk to people without batteries running out or a wall blocking signals! 😃😃😃 Thank you. Logitech sound system with woofer and two alloy desk speakers for a PC or any device with a Phono headphone socket. Sounds very good, only problem is that the DIN plug and socket where the speakers plug into woofer is loose and can cause crackling. 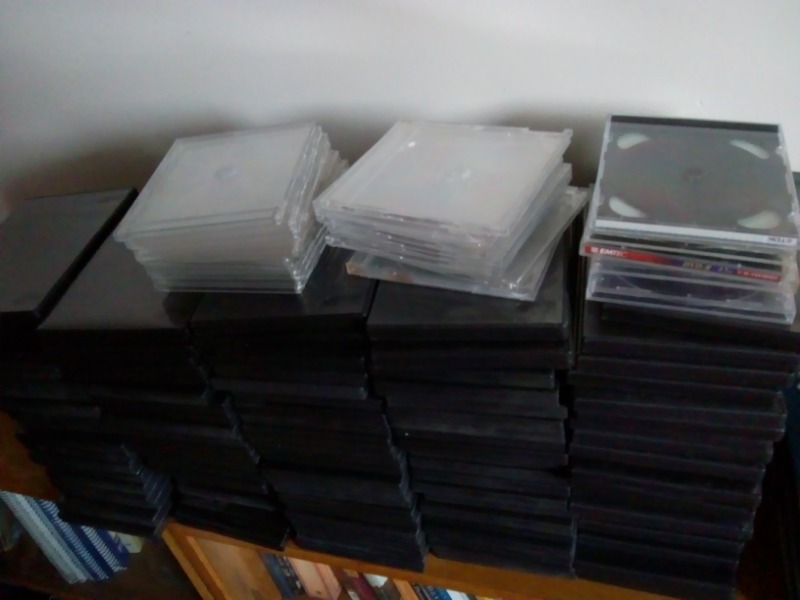 Empty DVD and some slim CD boxes. Used by generally clean. Seems a shame to throw away. 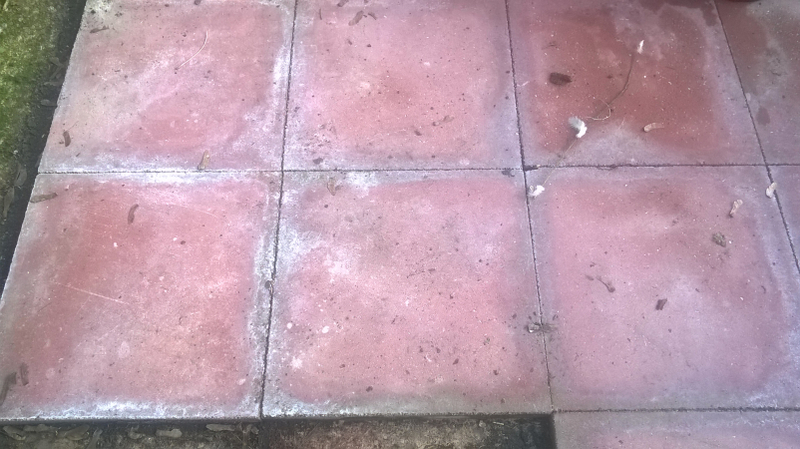 I have some tiles left over from tiling my kitchen floor and thought I had bought enough to do the conservatory as well. I seriously underestimated what I needed and now find that Ruabon tiles no longer make the shade I have. I am looking for heather blend tiles not heather brown. even just a few would help before I try some careful mixing with other shades. 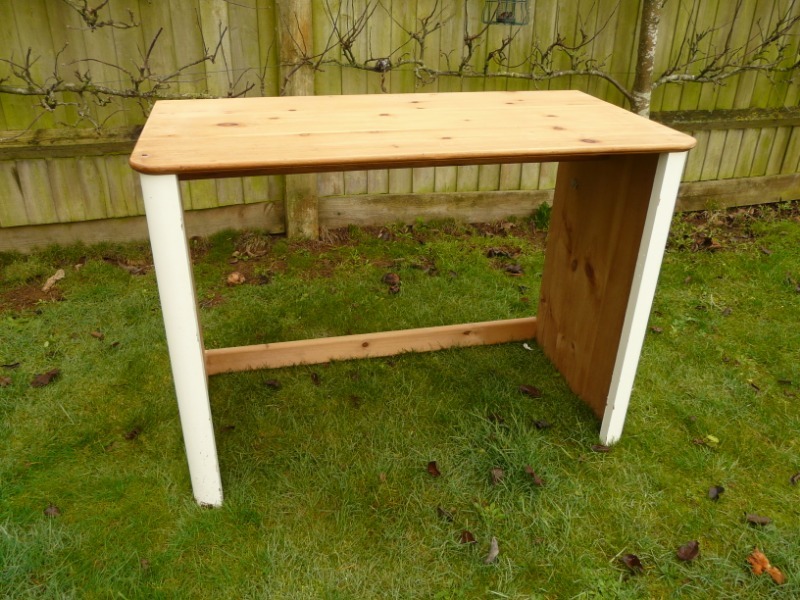 Simple desk measuring 110x56.5x79cm (WxDxH). Waxed pine top with white painted sides. Collectors only please. I'm in need of a wheel barrow please. Old or newish no matter. Hi there, going to a Karaoke party soon but shy to sing. Need to practice. Does anyone have a machine they no longer use with disks. Thank you for reading. Hi, Does anyone have any large indoor palms or plants please, anything over 4 ft would be wonderful. Thank you very much Mia. 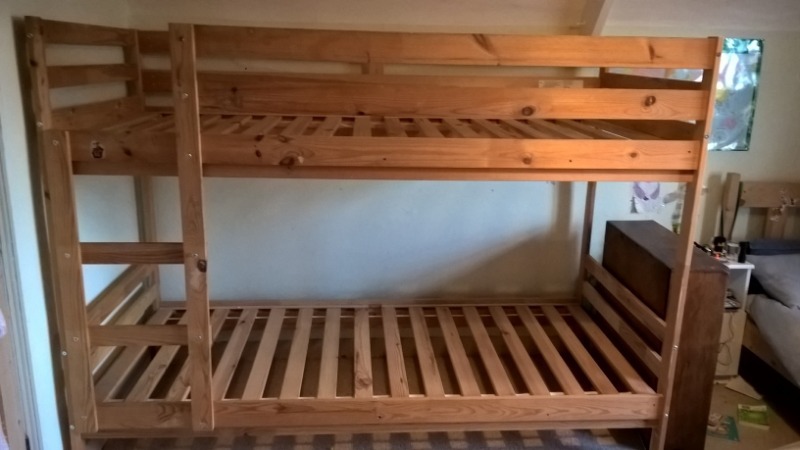 Full size pine bunk beds - these have been well used and there are various minor marks and dents, but nothing major. It's all still sturdy and does the job, plenty of life left yet. Has been dismantled ready for collection from Woodborough. Does anyone by any chance have a shower chair that folds up for my small shower space? I have vertigo, live alone and nervous of showering. Thank you. Healthy live Christmas tree in a pot its about 3-4 ft tall and needs a new home ! 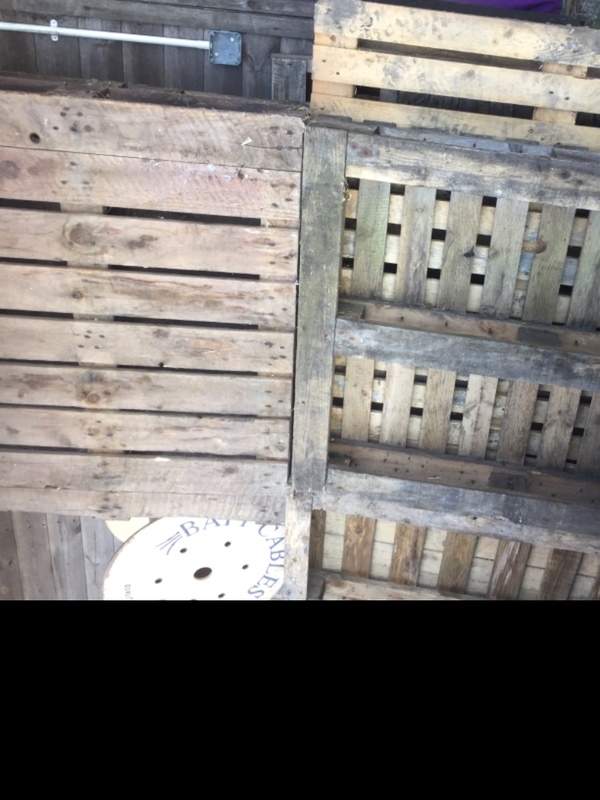 Hi, we're looking for some scaffold boards to support our large greenhouse walls. Thank you. 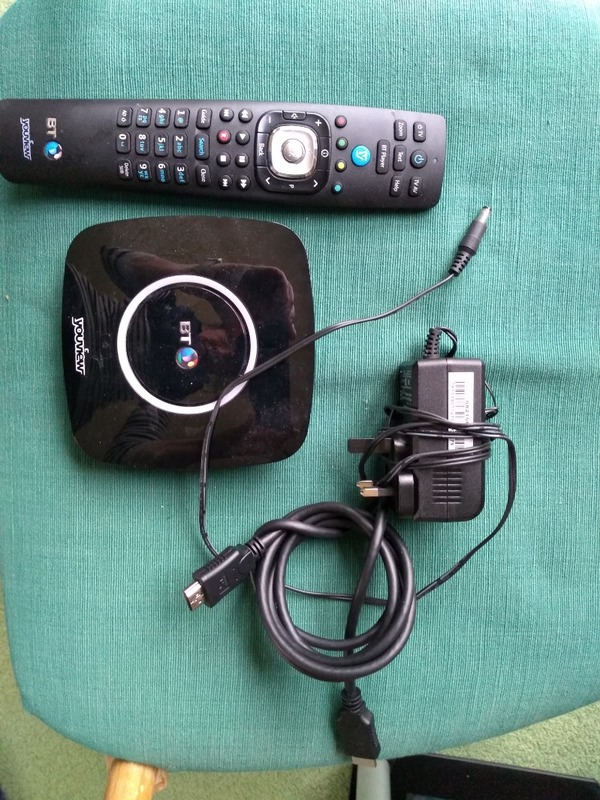 BT Youview box, connectors and remote (full details here https://m.shop.bt.com/products/bt-youview-box-078930-9YSQ.html#description). 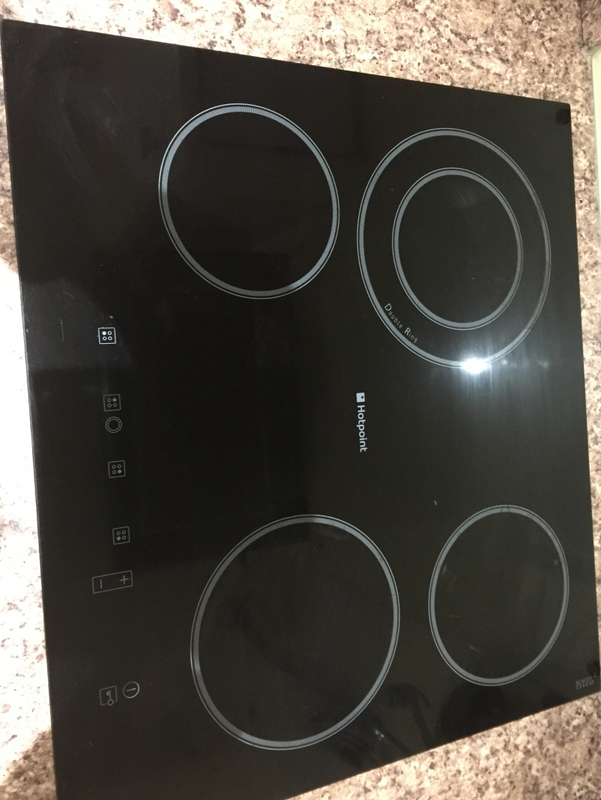 Not tested as we don't have this service but used by the previous owner of the house so should work fine.